Google updates their algorithm often and sometimes it may be hard to keep up with it. Their latest update is called Google Penguin. People are saying that with this recent Google update, search will now become more interactive. Just like all of their other updates pertaining to their search engine, Google Penguin’s purpose it to weed out all of the spam-like pages from results in Google.com. Google Penguin will help make it so you actually get what you’re searching for. It seems like Google is trying to send a message and wants everyone to learn the basics of search engine optimization. This is one of the best parts of Google Penguin. It will help you learn more about search engine optimization, not only the basics, and that will end up helping you and your websites and your future success. A lot of time is spent learning search engine optimization because search engine optimization is always changing. But one thing will always remain the same; Content is king. Google takes preference to the websites that produce unique content and they will try to rank you higher than the websites that are playing the system( and their robots). Google encourages you to write content that is one hundred percent unique and is grammatically correct. The easier your content is to understand, the more your visitors will interact, the better your rankings will be in the search engines. When it comes to ranking your website higher, organization also plays a key role. Putting Alt Tags to use so Google can find you will help you that much more. Still focus on building backlinks to your website but ignore the old link building strategies link link exchanges and link wheels. Concentrate on building good backlinks to your site. This may take more time and effort but it will only help you in the long run. This will protect you against the Penguin! 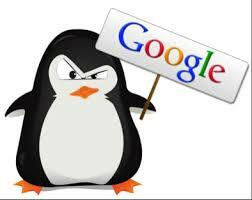 Many webmasters saw Google Penguin as a bad thing and even referred to it as the internet’s “Great Depression”. These were most likely the webmasters who took part in greyhat or blackhat activities in order to boost their rank in the search engines. But if you practice white hat search engine optimization you and your site will not be affected(at least not in a bad way). Remember, Google Penguin is there to remove spam websites from search results in order to help legitimate websites have a bigger presence in Google’s search engine. Staying away from blackhat techniques is no longer enough. What you need to remember in order to optimize your website for Google Penguin is that you need to make sure that your website conforms to the highest standards possible when it comes to the Google search engine. Let me do a quick breakdown of what you need to do. -Remove any and all broken or spammy links. -Avoid blackhat activity, even just the illusion of blackhat activity(discussion). Good luck with optimizing your website!